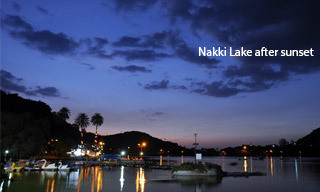 Mt Abu is one of the few destinations to be blessed with sheer natural beauty and idyllic surroundings. Spending few days of relief in this hill station is a dream and wish of many tourists. Nearby Mt Abu, tourists can also explore the rich and fascinating heritage of intricate Jain Dilwara Temples. Above all, the trip has everything for a relaxing and surreal holiday in India. Day 01: Arrive at Mt. Abu. Shift to hotel. Overnight at the hotel. Day 02: Sightseeing at Mt. Abu. Major Attractions : Dilwara Temples, Gaumukh Temple, Govt. Museum - Mount Abu, Mandakini Kund, Nakki Talav, Summer Festival, View Points. Day 03: Sightseeing at Mt. Abu. Major Attractions : Achalgarh, Achaleswar Mahadev temple, Kantinath Jain temple, Adhar Devi Temple, Guru Shikhar, Trevors Tank.